William of Mass Destruction: Snooze Time Tuesday. 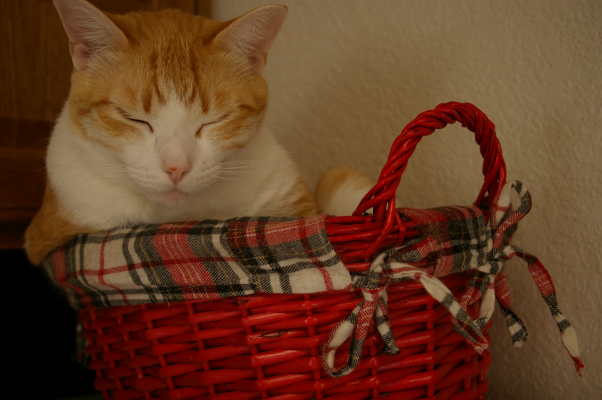 Cramming myself into this tiny basket wore me out. Um.... isn't that Caroline's basket? We think you might shortly be EVEN more tired. It's a perfect fit! Well, sort of. Oh Izzy...you are just adorable! But you look darn snoozy comfy! So cute-Frodo wants to know if there is room for him! But it was worth it, right, Izzy?